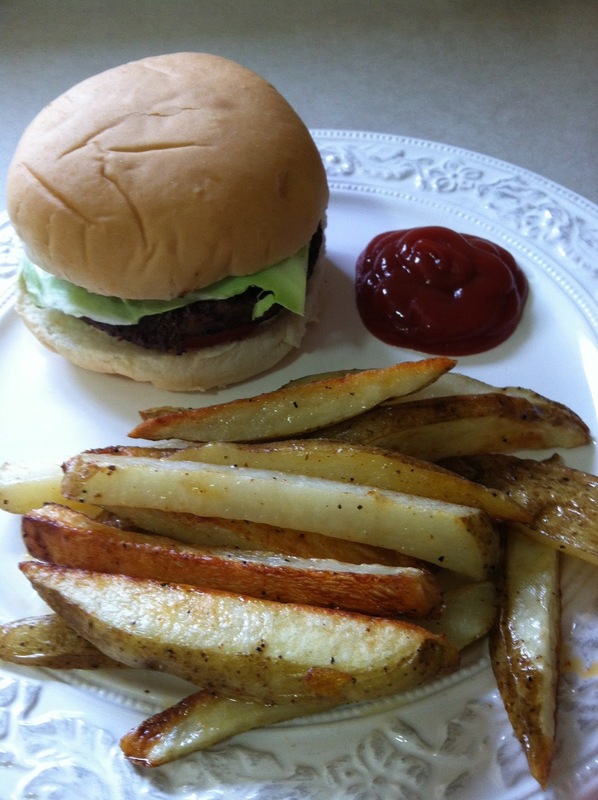 Happy Meal Helpers are tips and ideas to help you as you make your own burgers and fries (a.k.a. homemade happy meal). I just discovered these 3 tips when I was making burgers today, and hopefully I will discover more as I continue making burgers! If you have any great tips, be sure to comment! Use cabbage in your burger instead of iceberg lettuce – Cabbage will taste very similar but will keep its crunch even after sitting on your burger for a while. Is your frying pan too small to fry many burgers at once? Try using a pancake griddle! Set the heat to about 250F or 300F. Rinse your potato slices – rinse the extra starches off with water before you bake them. I don’t know why, but it makes a big difference in the crispiness of your fries.